Your favorite Degenerate Journalists were supposed to attend BlizzCon this year, however, we were not able to due to overlap with some good friends’ weddings. 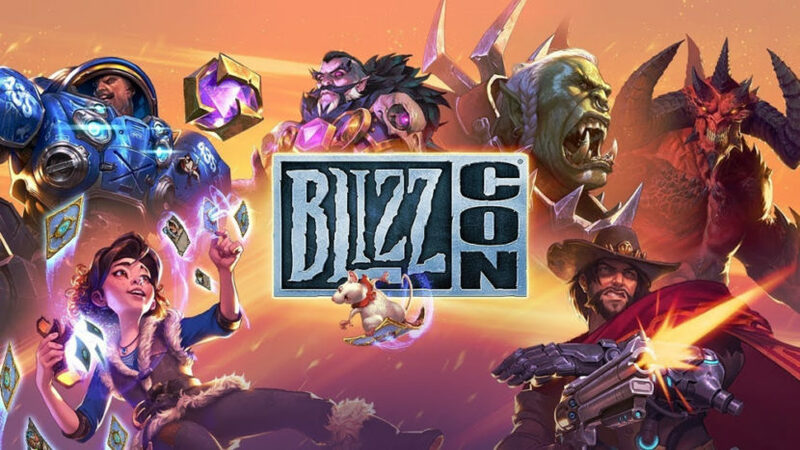 We wouldn’t be the best…favorite…degenerate…journalists if we didn’t at least do a BlizzCon roundup a week late so I, Dr. Bob, and Papa Dom will fill you all in on what you already know. Let me be frank. WE MISS YOU BEN BRODES!!! I was pretty confused with direction of the latest expansion Rastkhan’s Rumble which is set as a troll expansion in a gladiatorial-like arena. It appears as though there will be some new multiplayer mode or modes integrated into this expansion where, if I interpreted this correctly, there will be more than 2 players battling at once. I could absolutely be wrong here, but if this is the case it will be an interesting venture into a more multiplayer segmented portion of the game which is refreshing from all of the single player adventure modes that have come with the last few expansions. Loa and Spirit cards are being introduced which are “beast gods” for each class that all come with Stealth for one turn and have some powerful descriptions that can lead to new deck building opportunities. The Shark Spirit was put on display for Rogue’s and allows for BattleCries and Combos to be activated twice. A new KeyWord is being implemented called OverKill where if you do more damage than a unit’s health you get to attack again. This would be useful for hero weapons and specifically minions with low attack and high health for more board clear. Shirvallah is the Paladin Loa, and comes at a 25 mana cost, but decreases for every mana spent on Paladin spells. This to me seems like a dead card until mid to late game but could absolutely be put into a good mid-range Paladin deck. As per usual, the OverWatch cinematic for Ashe was a beautifully crafted, Pixar quality, masterpiece. Her character design and voice acting is top notch with this possibly being the second most action packed cinematic after Reinhardt’s. I found some similarities between the direct spelling of Ashe and the character design of Caitlyn from League of Legends but she still looks amazing. Ashe is a DPS character with a similar playstyle to McCree wielding a rifle with the capability of 2 shotting squishy heroes like Moira…while aiming down sights. There seems to be a pretty apparent increase in damage when you ADS, but fire rate decreases compared to reticle hip firing. Ashe has a close range shotgun that deals damage, knocks back enemies and allows for increased mobility for her to move around the map and get high ground. Ashe also can throw a stick of dynamite that detonates after a short period of time or can be blown up if shot, dealing AOE damage over time. If the dynamite is shot it does considerably more damage. Her ultimate is Bob, yes I have been integrated into OverWatch so again, thank you so much Blizzard for this opportunity. Bob is the first true in-game summon where Ashe points to a location for Bob to charge to, if he hits enemies, they get knocked up and dealt damage. Bob then stands in place and shoots a gattling gun from his arm dealing damage to anyone nearby. Did I mention he has a 1200 HP health pool, can be nano’ed by Ana and bubbled by Zarya. I guess we will just see how the meta shifts to the newest addition of Ashe and Bob. If you want to hear our input on the totally panned announcement of Diablo Immortals make sure to listen to episode 101 of Not Another Gaming Podcast.